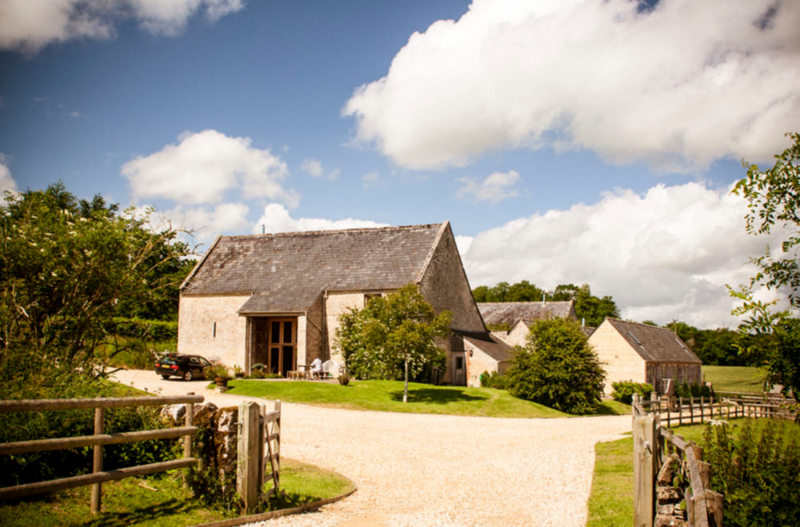 Superb converted holiday rental barn between Oxford and Cheltenham with 18 bedrooms and magnificent views. 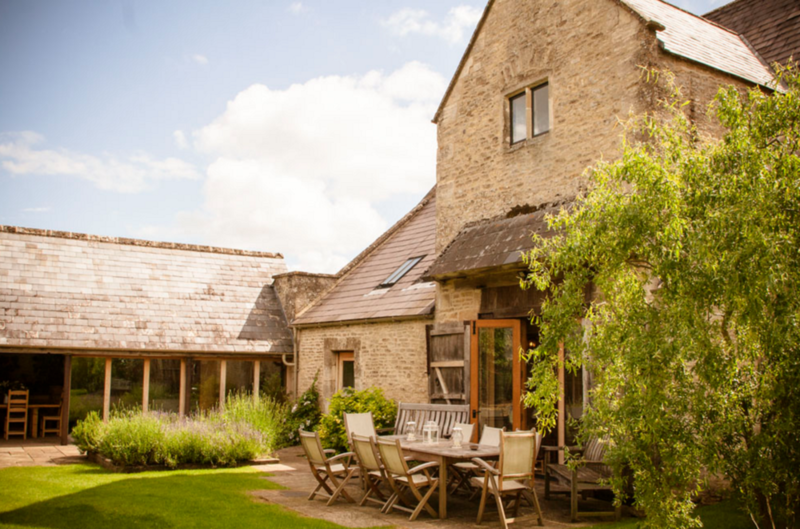 Tucked inside the Cotswolds Area of Outstanding Natural Beauty, Abbey View is ideal for a weekend out of the city. Pack your bags the night before and head off straight from work for a fun-filled weekend as this home is just off the A40 out of Oxford, within easy reach of central London. Whatever your interests and hobbies there's so much to do here, from horse riding to cycling, from walking to craft making, the Cotswolds has it all! Better still, at the end of a long day out you can retreat to this home away from home. 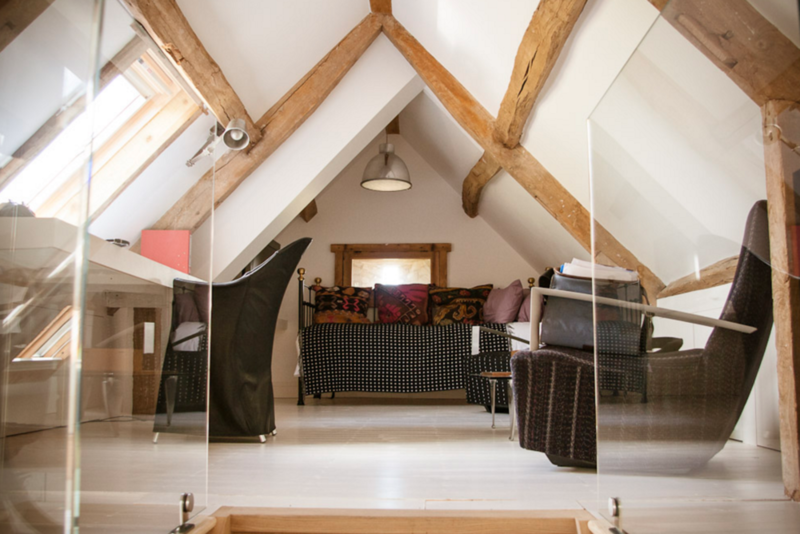 In the heart of the Cotswolds sits a wonderful surprise, as you push open the main door to this beautiful barn conversion, perfectly blended with the surrounding English countryside, you'll enter the Abbey View experience. 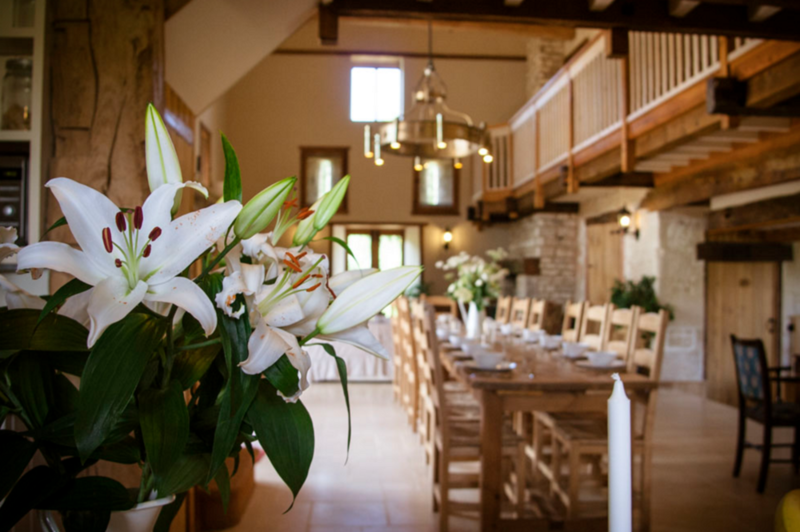 Seamlessly melded together are extraordinary original oak beams, a magnificent dining table to sit all 36 guests, plus all the mod cons you could wish for. Luxury meets tradition in this elegantly formed and perfectly functional retreat. From the moment you enter the grounds of this home a veil of tranquility and relaxation is upon you. 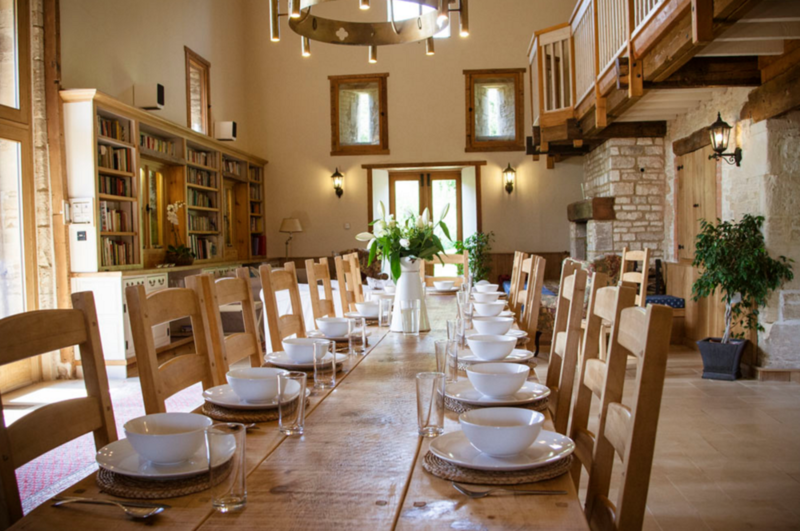 In addition to its 18 bedrooms and enormous dining hall are a traditional farmhouse kitchen, a large flagstoned living space warmed by wood burning stove, perfect for large groups with plenty of room to move around and mingle in the open plan living area. Feeling hungry? It takes mere minutes to whip something together in the kitchen, fully equipped with everything you could need and even some things you don't! Pets are also welcome here so there's no need to leave the dog at home on this trip - when we say get the family together we mean ALL the family! 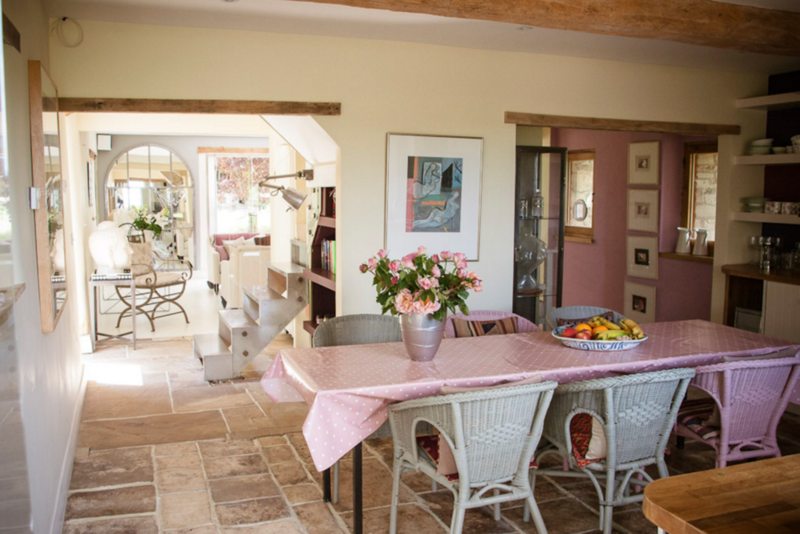 This home has only recently been converted from its origins as a working barn and is closely monitored by the National Trust to ensure that every detail stays true to the character and identity of the original building. You won't find a better example of old meets new! Spread the word to your family and friends - they can all join you here at Abbey View! With 18 bedrooms there is plenty of space for up to 36 guests, making it the ideal spot for your reunion, anniversary or party. Each of the magnificent bedrooms are complete with ensuite showers while for those younger families in the party, two interconnecting bedrooms share a bathroom as part of the family suite, which accommodate up to 2 adults and 2 children. 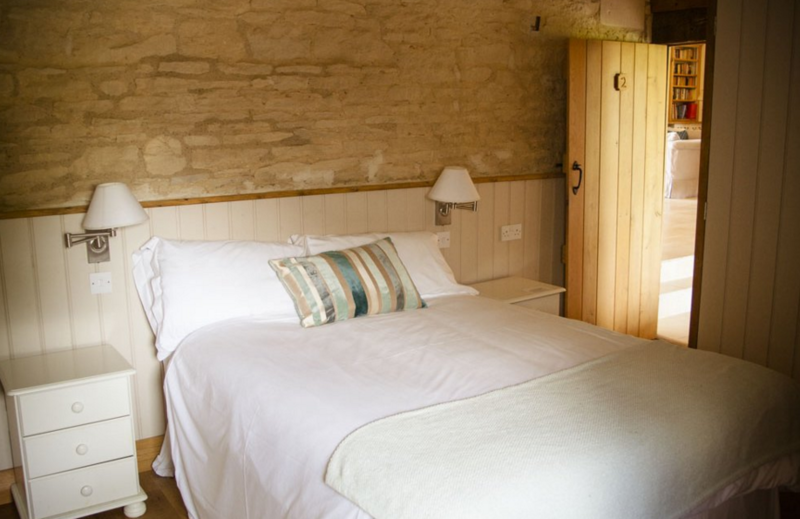 The sleeping accommodation is thoughtfully split between the main barn, which houses 5 ensuite bedrooms, sleeping up to 22 guests, and the main house, which sleeps a further 10 guests. For the largest of groups, a small 2 bedroom cottage on-site can accommodate an additional 4 guests and is perfect for those guests seeking a little more seclusion and privacy from the main event.